There are an estimated 8,000 used car dealerships in Canada so how do you find the one that is right for you? To help you make the best choice possible we are going to share what we believe makes House of Cars so special. We hope that you will be able to see what we offer and then compare our features to our competitors and see how they stack up. We hope that this is helpful for you! When it comes to used car dealers Canada has a wealth of options but this is not much use to customers if they aren’t close by! This is why since our launch in 2012 we have made expansion a priority. This has helped us to increase the size of our inventory while connecting with more customers throughout Calgary. We are very proud to have dealerships in Barlow Trail, Macleod Trail, Chinook, McKnight, Horton Road, 17th Avenue, Airdrie and Medicine Hat. Each of our dealerships are run by professional and compassionate team members that really do want the best for our customers! A car dealership can have the largest inventory and the best prices but without a helpful and professional team the ball will never get rolling. Our team of talented individuals strive to build a positive experience for our customers throughout the entire process. 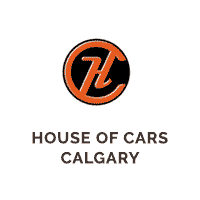 Their hard work has led to House of Cars winning countless awards over the years since we started in 2012. They continue to push boundaries and set new standards for what is expected in terms of dealership customer care. Just take a look at our hundreds of amazing Google & Facebook reviews. Whichever used car dealership you decide to work with, buying a used car should never feel like a gamble. You should be just as confident when buying a used vehicle as you are buying a new one. We make sure that this is the case by ensuring our entire inventory is CARPROOF. This report gives our customers a complete overview of a vehicle’s history so they know the ins and outs of the vehicle that they are thinking about purchasing. Paired with our full mechanical fitness inspection and warranty our customers can feel safe when buying their new car. We strongly believe in “more vehicles with less limitations”. We believe that every one of our customers should have the opportunity to enjoy driving a car that they feel comfortable in. They should also be able to drive a car that they can trust to perform for them and protect themselves and their family. This is why we offer access to our Credit Rebuilding Program to all customers. This program allows customers to find flexible financing options that fit with their budget and priorities so that they can get their dream car. All of these features are backed up by convenient service. We believe that you shouldn’t have to jump through hoops to get the used car that you want and our team stops at nothing to deliver an enjoyable and professional experience. If you are interested in seeing it in action feel free to call one of our representatives today or fill out our online form and we will get back to you in no time.